London Town, it’s something else. 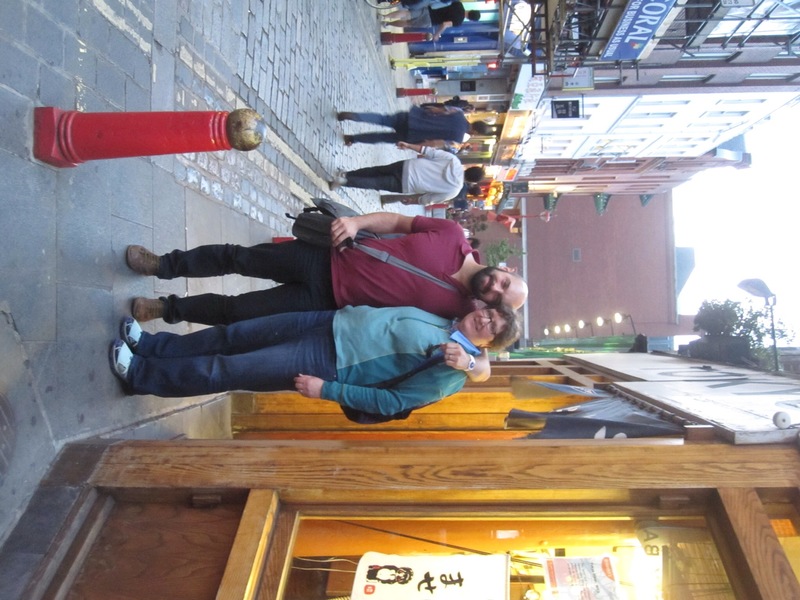 I’m a bit behind because I was so worn out from the last couple of days, but I wanted to just note a couple of things about our day out in the West End on Wednesday. And apologize that I rotated the pictures in iPhoto but my preview shows them all sideways! First and foremost, although it came at the end of the day, I have to say how spectacular it was to spend time with my dear friend Tommaso, and for him and Angie to meet. Catching up with Tommy (like our visit with Sara earlier in the week), was exactly how you always hope reunions with old friends are: some catching up, but also great conversations about shared and personal interests, just like you were only together the day before. The conversation the three of us had about education, for example, was highly stimulating. My heart felt very full when we left Tommy. And my tummy was too, since he took us to a great, unpretentious Japanese restaurant, the Tokyo Diner. In Chinatown, which is also close to the theaters, Leicester Square, Piccadilly. A couple of other notes about the day before Angie and I head out to explore Oxford. 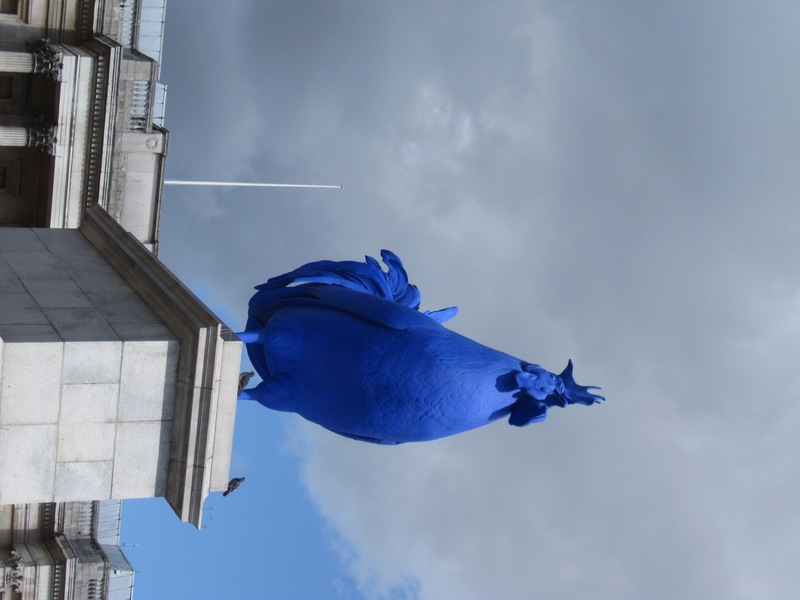 The Fourth Plinth is a plinth in Trafalgar Square in central London. It was originally intended to hold an equestrian statue of William IV, but remained bare due to insufficient funds. For over 150 years the fate of the plinth was debated; in 1999, a sequence of three contemporary artworks to be displayed on the plinth were announced. The success of this initiative led to a commission being formed to decide on a use for the plinth. Eventually that commission unanimously decided to continue using it for the temporary display of artworks. We had theater tickets on Wednesday, but had some time, so wandered into the National Gallery. Huge crowds around the popular pieces but Angie noticed that standing on the far side of the gallery was by far the best view of Van Gogh’s “Sunflowers.” The picture seemed to glow at that distance, but of course most people seemed to want a selfie in front of that or his wheatfield painting. There was also some good Monet stuff whetting our appetite for maybe visiting his home in France when we are there. Very entertaining. Glad we went and got to see it at least, and it was fun to see it from the third row. A good cast. 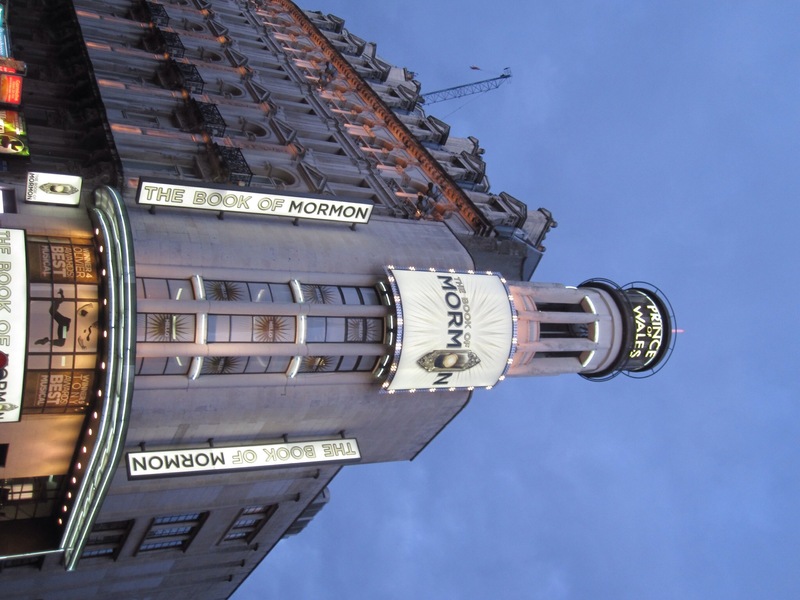 One tip on this, London Matinees are much cheaper than evening performances.